TUESDAY, Sept. 19, 2017 (HealthDay News) -- Girls who play soccer try to tough it out after a concussion more often than their male peers do, researchers warn. In fact, they were five times more likely than boys to return to the field on the same day, putting them at increased risk for injury, the small study found. The researchers looked at 87 soccer players from Texas, average age 14, who sustained a concussion during play and were treated at a pediatric sports medicine clinic. Two-thirds of the injured players were girls. Nearly 52 percent of girls returned to playing in a game or practice on the same day as their concussion, compared with just 17 percent of boys. The study was presented this weekend at the American Academy of Pediatrics (AAP) annual meeting, in Chicago. Research presented at meetings is considered preliminary until published in a peer-reviewed journal. 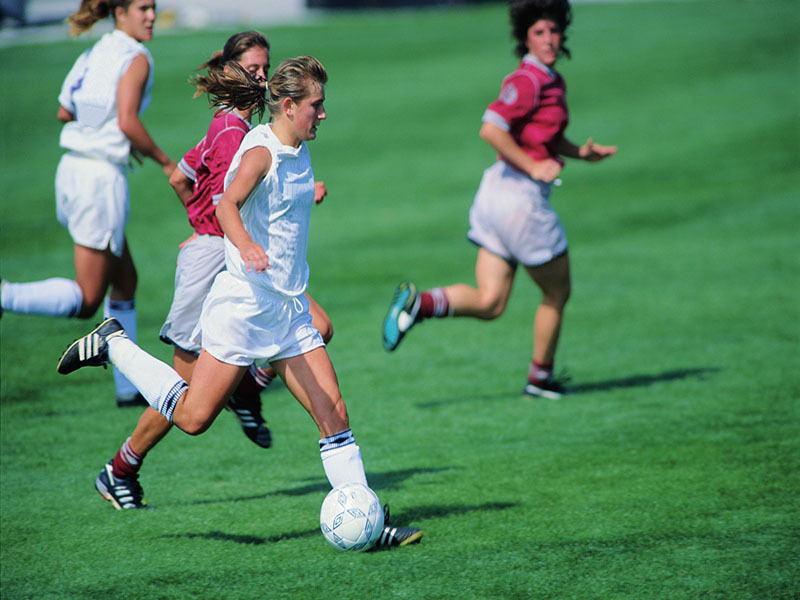 "The girl soccer players were five times more likely than boys to return to play on the same day as their concussion," said senior study author Dr. Shane Miller, a sports medicine physician at Texas Scottish Rite Hospital for Children in Dallas. "This is cause for concern, especially with previous studies showing that girls suffer twice as many concussions as boys," he said in an AAP news release. "Consistent with our findings in other sports, young soccer players are returning to play on the same day, despite recommendations from medical organizations, such as the American Academy of Pediatrics, and laws in all 50 states intended to protect their growing brains," Miller added. "Despite increased concerns about the risks of concussions, the culture among athletes to tough it out and play through an injury often takes priority over the importance of reporting an injury and coming out of a game or practice," he noted. Study lead author Aaron Zynda is Texas Scottish Rite's clinical research coordinator. "Considering the dangers of returning to play prematurely, parents need to familiarize themselves with organizational guidelines for concussions... and should have a heightened awareness of signs and symptoms of concussions," he said. "Current education efforts may not be enough to help athletes, parents and coaches identify concussion symptoms, know the guidelines for immediate removal from play and understand the risks of returning to play after an injury," Zynda said. "More research is needed on how to better spread this message intended to protect the health of young athletes and help them comply with state laws," he added.